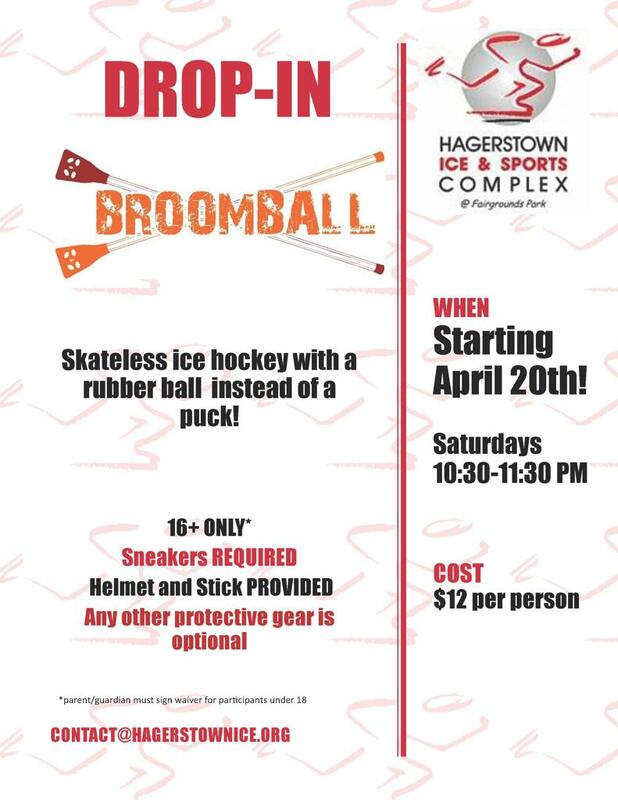 The rink is proud to announce the return of a popular program, broomball! The games is played on ice, but participants wear sneakers. It is just like hockey, although it's played with a larger ball and modified sticks with larger blades. Starting on Saturday, April 20, we'll hold drop-in sessions from 10:30 - 11:30 pm. This means anyone 16 or older may show up and play, although those under the age of 18 must have a parent or guardian sign a waiver. We'll provide a stick and helmet. Participants may (and are encouraged to) bring other equipment such as elbow and shin pads. Players must wear sneakers on the ice. If you have any questions, contact our General Manager Dan (contact info below). We hope you'll join us as we bring back this fun activity!